Bijna elke begraafplaats heeft iets specifieks : hier de mooie toegangstrap. Het plan van Kemmel N°.1 French Cemetery. Zicht op de begraafplaats vanuit de rechterhoek vooraan. Zicht van achteraan naar vooraan. Kemmel No.1 French Cemetery is located 6 km south west of Ieper town centre, on the Poperingestraat, a road leading from the Kemmelseweg, joining Ieper to Kemmel (N331). From Ieper town centre the Kemmelseweg is reached via the Rijselsestraat, through the Lille Gate (Rijselpoort), and straight on towards Armentieres (N365). 900 metres after the crossroads is the right hand turning onto the Kemmelseweg. (Made prominent by a railway level crossing). 5 km along the Kemmelseweg lies the right hand turning onto the Vierstraat. 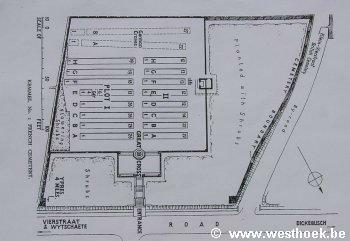 The cemetery lies 1 km along the Vierstraat, on the left hand side of the road. Kemmel was the scene of fierce fighting, in which both British and French forces were engaged, in the latter half of April, 1918; and from the 26th April to the end of August, it was in German hands. 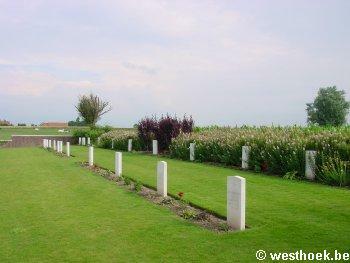 The origin of the cemetery is not known; it was found by the French Graves Services soon after the Armistice, with German graves at the back and British and French graves nearer the road. The French graves were removed later to the Kemmel French Ossuary, which contains 5,294 unidentified bodies, or to the French cemetery at Potijze). 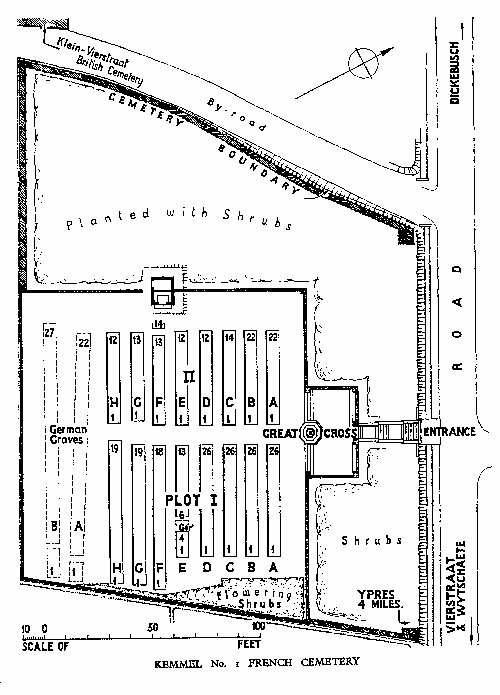 Other British graves were brought in from the battlefields of the Ypres Salient and from some other burial grounds; and additional German graves were found by the Belgian Graves Services. 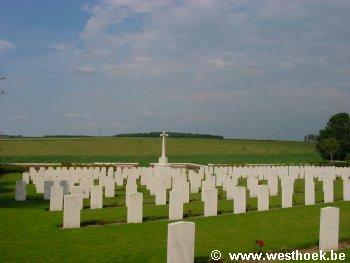 There are now nearly 300, 1914-18 war casualties commemorated in this site. Of these, over 250 are unidentified. 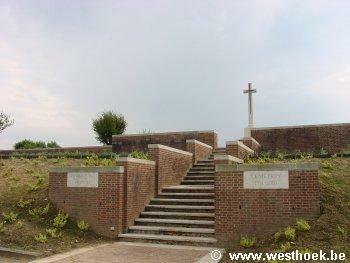 The cemetery covers an area of 3,923 square metres and is partly enclosed by a low stone wall. 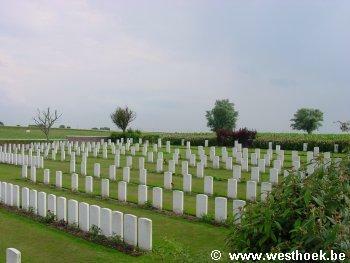 BECELAERE CHURCHYARD contained two British graves of October, 1914. 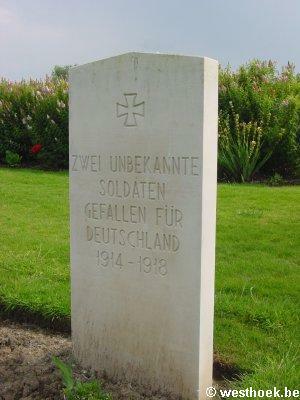 BEERST GERMAN CEMETERY, near Diksmuide, contained the grave of a Royal Air Force officer who fell in September, 1918.